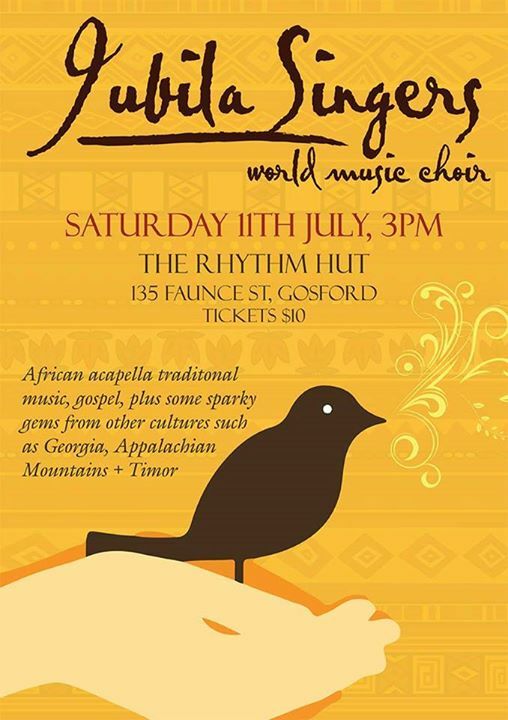 Jubila Singers will be performing in the eclectic and relaxed setting of The Rhythm Hut on Saturday afternoon July 11 at 3.30 pm. Seven languages will be represented in songs from South Africa, the Ivory Coast, Georgia and the Appalachian Mountains of the USA. 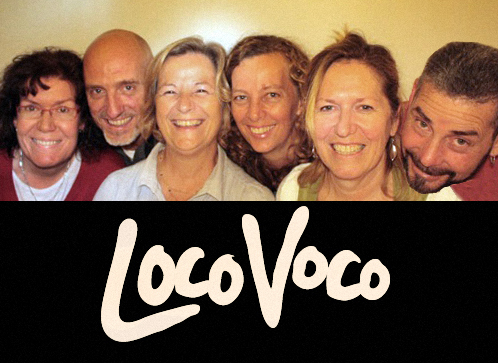 Guest artists will be the contemporary a cappella group, Loco Femme (the women from Loco Voco) singing their stunning harmonies led by Barb Shearer-Jones, plus the delightful Bedroom Band and The Rhythm Hut senior student Djembe players. Tickets $10. Doors open 3 pm. This entry was posted in General info and tagged Barb Shearer-Jones, Jubila Singers, Loco Voco, The Rhythm Hut. Bookmark the permalink.